Beat of the Dhak, sway of the Kash and the cirrus clouds bring in the news of festivity...the news of Durga Puja. It's time for celebration of good over evil. Send in your wishes to your friends/ family/ dear ones and all you know on Durga Puja. 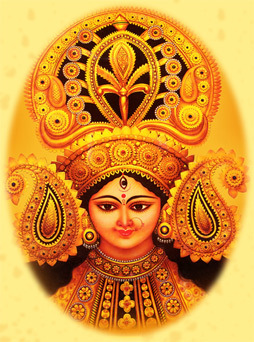 Add to the mood of the celebrations with these warm Durga Puja greeting cards. Click on any of the thumbnails below to send your deepest feelings.